When you need junk removed from your property, choose a Westchester junk removal service that’s reliable, professional, and prompt. That’s the best way to get the job done in a stress free manner. Spring’s almost here, and you know what that means: spring cleaning! It’s time to get rid of all the junk, clutter, and stuff that’s been getting in our way all winter long. Cleaning out garages, attics, basements and even the dreaded kid’s bedroom can result in a healthier, happier home. If you have rental properties or a business, you know these spaces need periodic deep cleanings to restore them to the best they can be. Now is the time! Most of us have super busy lives. That means we don’t have endless hours to devote to hauling junk out of our home to the convenience station – not to mention that’s just about the most expensive way possible to deal with your trash! 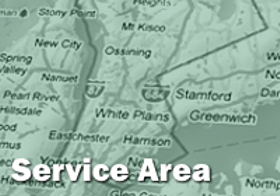 There’s a faster, simpler, more affordable alternative: Westchester County Dumpster Rental. Here’s how it works. You call County Waste Management and say, “Hey, I need a dumpster!” The friendly people there are going to ask you a few questions, like what type of trash are you clearing away and what size dumpster you need. If you don’t know what size dumpster you need, don’t sweat it – just tell the County Waste Management team what kind of job you’re doing and they can make recommendations that will help you pick the dumpster you need. In this conversation, you’ll also get information about how much it costs to rent a dumpster in Westchester County and how to schedule dumpster drop off and pickup. The nice thing about working with County Waste Management is you can arrange dumpster drop off and pick up on your timeline. There’s a whole range of dumpster sizes available, from mini-dumpsters that are great for cleaning out an out of control garage to 30 and 40 yarders that are truly ideal for clearing away debris from home renovations.